There are reports that Iraqi authorities are suppressing freedom, abusing anti government protesters, and using secret prisons where PM Maliki's security forces are cracking down on protesters, harassing opponents, and torturing detainees. Reports from the region say that Iraq is quickly slipping back into Authoritarianism with the last US troops leaving Iraq nearly nine years after the invasion that ousted the Iraqi dictator Saddam Hussein. With US troops out of Iraq, leaders of this war torn nation are reverting back to the Saddam Hussein era and Authoritarianism, a precursor of things to come according to Bible prophecy. The end of 2011 saw the withdrawal of all US troops from Iraq about nine years after the American military took down the Iraqi dictator Saddam Hussein. 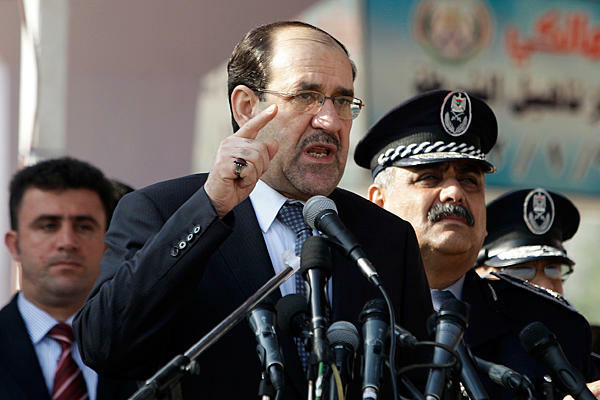 Prime Minister Maliki in Iraq and his coalition government are faced with the task of rebuilding this war torn nation and the prospects for a stable government do not look promising. Reports from the region say that Iraqi leaders are having to deal with the uptick in radical opposition to Maliki's government which is causing the implementation of Authoritarianism. This scenario used by Saddam Hussein and now the Maliki government will be the mode of operation for the final leader of Iraq according to Bible prophecy. Modern day Iraq is Biblical Babylon and the actual city of Babylon is 58 miles out of downtown Baghdad. John the Revelator in Revelation 18 reveals the fact that Babylon will be the economic, political, and governmental capital of the world in the last 3 1/2 years of the seven year Tribulation Period. The leader of this powerful base in the Middle East will be the Antichrist, the most fierce dictator of all history. Under his leadership, all of the world will take a mark, an identification mark on the forehead or back of the hand, so they will be able to buy or sell food, clothing, and housing, Revelation 13:16-17. Indeed in the future for Iraq, Biblical Babylon, there will be a strong Authoritarian leader in charge. The Antichrist will rule Babylon.